Satisfy your appetite at the hotel's coffee shop/café. Mingle with other guests at the complimentary reception, held daily. Buffet breakfasts are available daily for a fee. Located in Vigo, NH Collection Vigo is in the business district, within a 5-minute walk of Sargadelos Gallery and Centro Cultural Caixanova. This 4-star hotel is 4.8 mi (7.7 km) from Samil Beach and 0.2 mi (0.3 km) from Museum of Contemporary Art. Satisfy your appetite at the hotel's coffee shop/café, or stay in and take advantage of the room service (during limited hours). Buffet breakfasts are available daily from 7:00 AM to 10:30 AM for a fee. With a stay at Pazo Los Escudos Hotel And Spa Resort in Vigo, you'll be on the beach, within a 5-minute drive of Samil Beach and Galicia Sea Museum. This 5-star hotel is 1.7 mi (2.8 km) from Balaidos Stadium and 1.9 mi (3.1 km) from Plaza America. Relax at the full-service spa, where you can enjoy massages, body treatments, and facials. You're sure to appreciate the recreational amenities, which include 2 spa tubs, a sauna, and a fitness center. Additional amenities at this hotel include complimentary wireless Internet access, concierge services, and shopping on site. Stay in one of 22 guestrooms featuring flat-screen televisions. Complimentary wireless Internet access keeps you connected, and digital programming is available for your entertainment. Private bathrooms with bathtubs or showers feature complimentary toiletries and hair dryers. Conveniences include desks, and housekeeping is provided daily. With a stay at Hotel Celta, you'll be centrally located in Vigo, walking distance from Sargadelos Gallery and close to Museum of Contemporary Art. 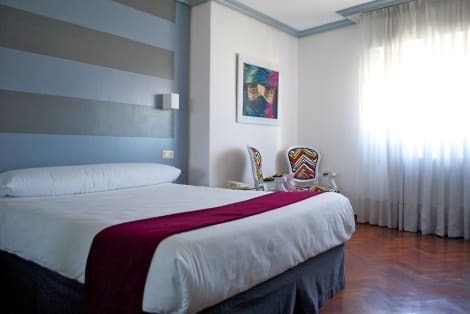 This hotel is within close proximity of Centro Principe and Centro Cultural Caixanova. 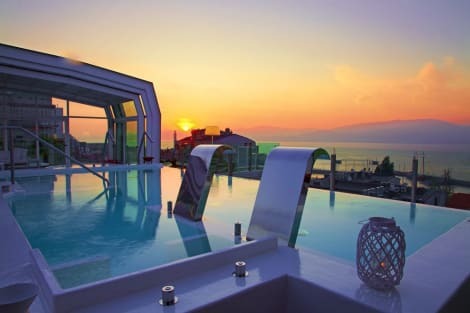 lastminute.com has a fantastic range of hotels in Vigo, with everything from cheap hotels to luxurious five star accommodation available. We like to live up to our last minute name so remember you can book any one of our excellent Vigo hotels up until midnight and stay the same night.